As individuals or as a company, we all have the responsibility in making this a better community. Whether through financial support or through our time and efforts, we try to give back whenever we can. These are just a few programs we are proud to support. We developed a partnership with the Renton School District Adult Transition Program in 2007. This is an inspiring program that helps mentally and physically challenged students enter into the work force by acclimating them to the work environment and task completion. The Adult Transition Program brings 2 to 4 employees to our plant several days per week to sort wire hangers into useable and non-useable quantities; a task that had previously slowed down our processes. By tapping into our community resources, we were able to find a solution that created a win-win for everyone. We also support the community through our recruiting and hiring efforts. Working directly with non-profit organizations such as World Relief, ReWA, and Refugee Federation Service Center, we provide entry level job opportunities to refugees as they transition to their new life in the U.S. This not only provides the financial support they need but a way to assimilate to the new culture, learning a new way of life, communication, and sense of belonging. 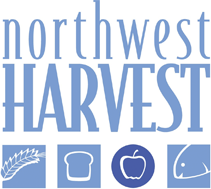 We are proud to support Northwest Harvest in their goal to provide food to the needy as well as Renton Community Foundation in their philanthropy efforts.